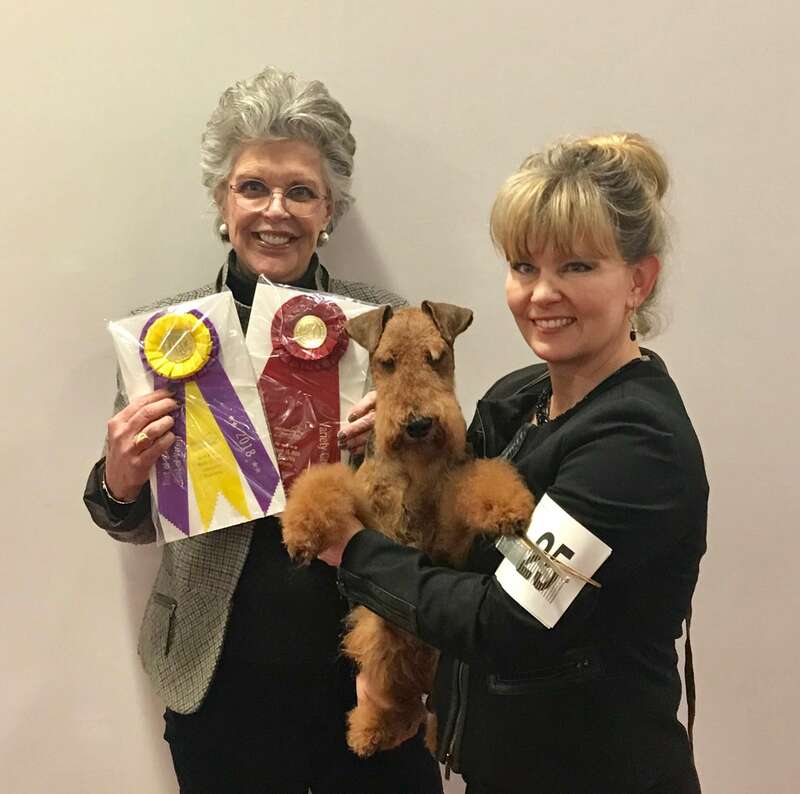 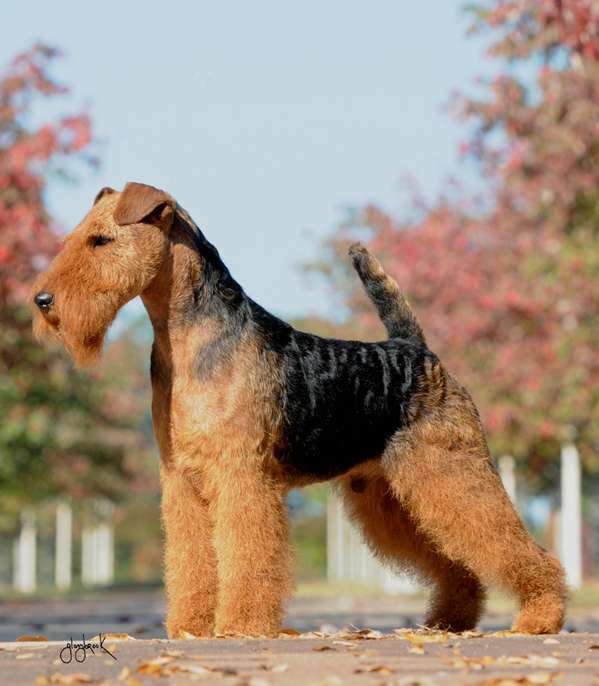 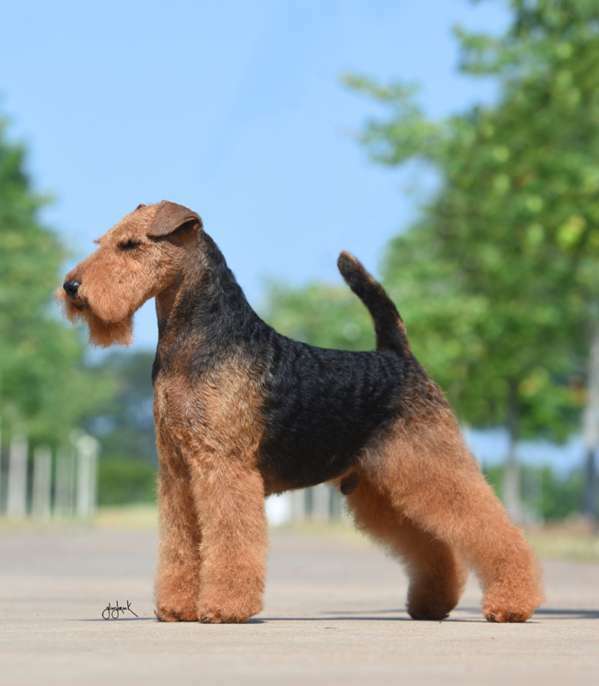 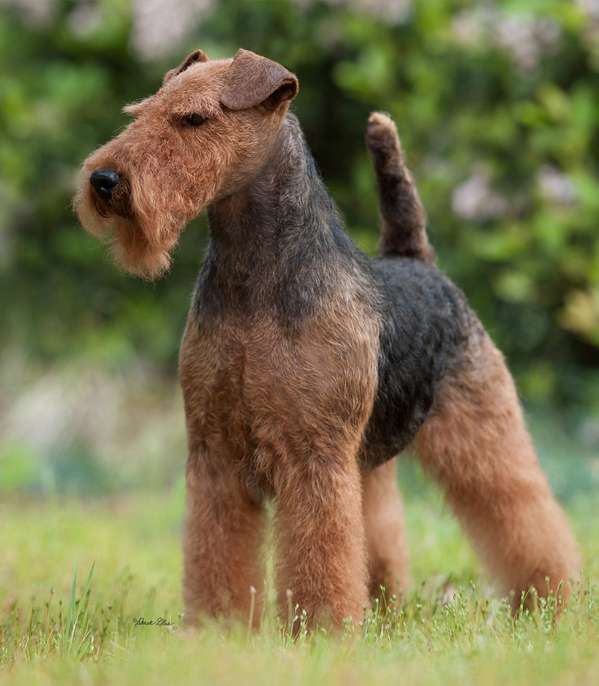 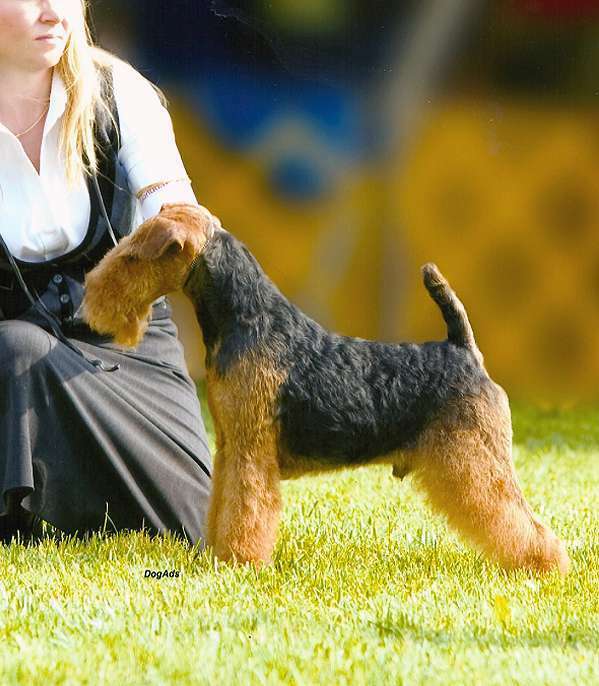 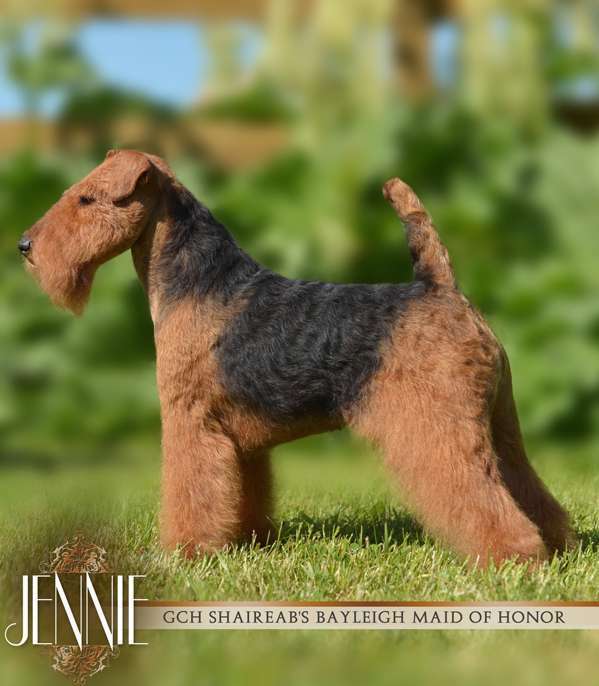 Dazzle won the Breed at the Welsh Terrier Club of Northern IL, supported entry at the Kentuckiana Cluster. 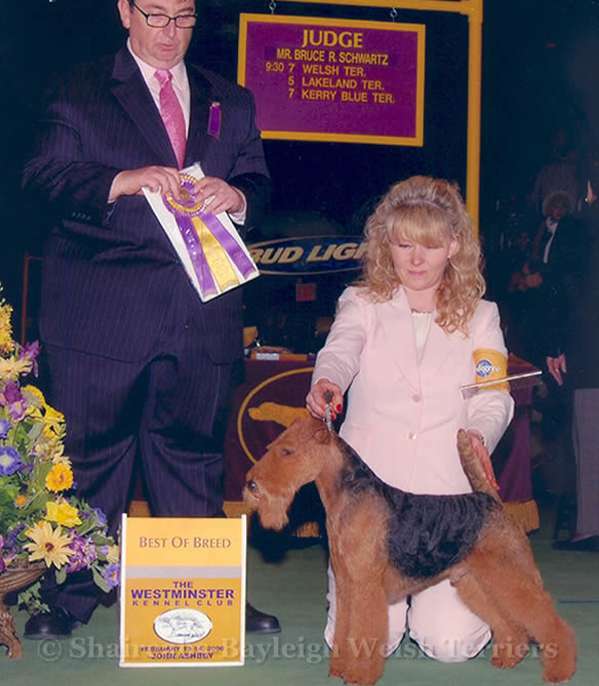 He defeated over 300 Terriers by winning Group 2 under Judge Toddie Clark. 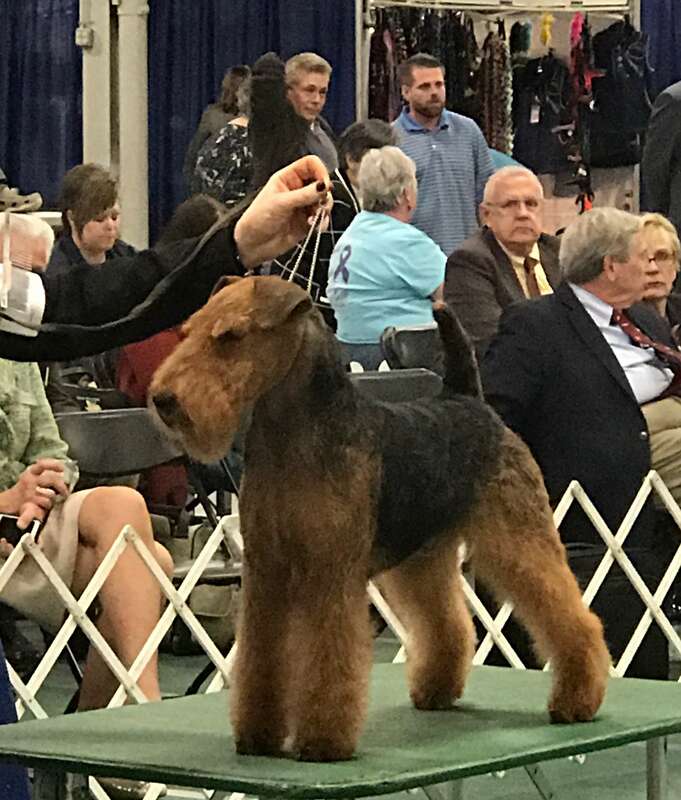 What a truly spectacular beginning for this young boy! 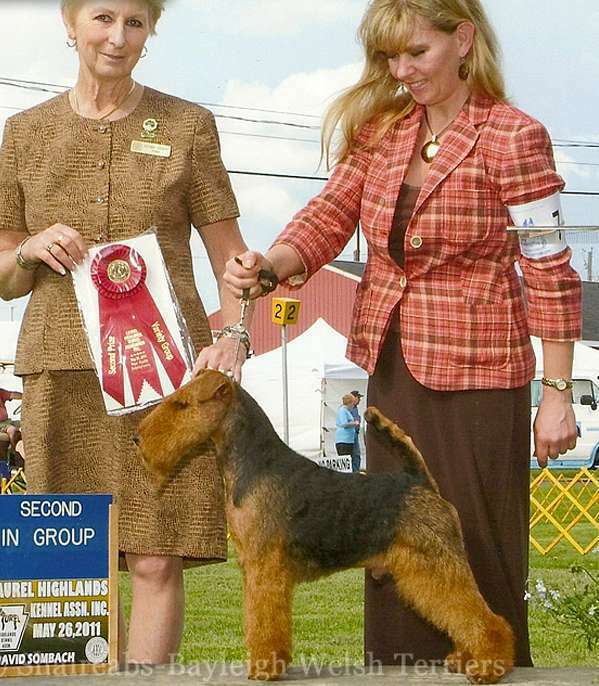 Dazzle with Keith (left) and Tracy (Right). 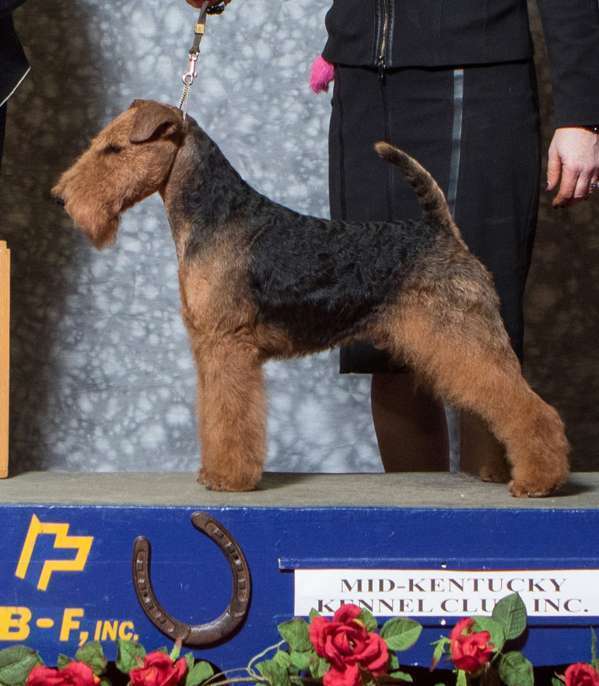 And of course, his ribbons! 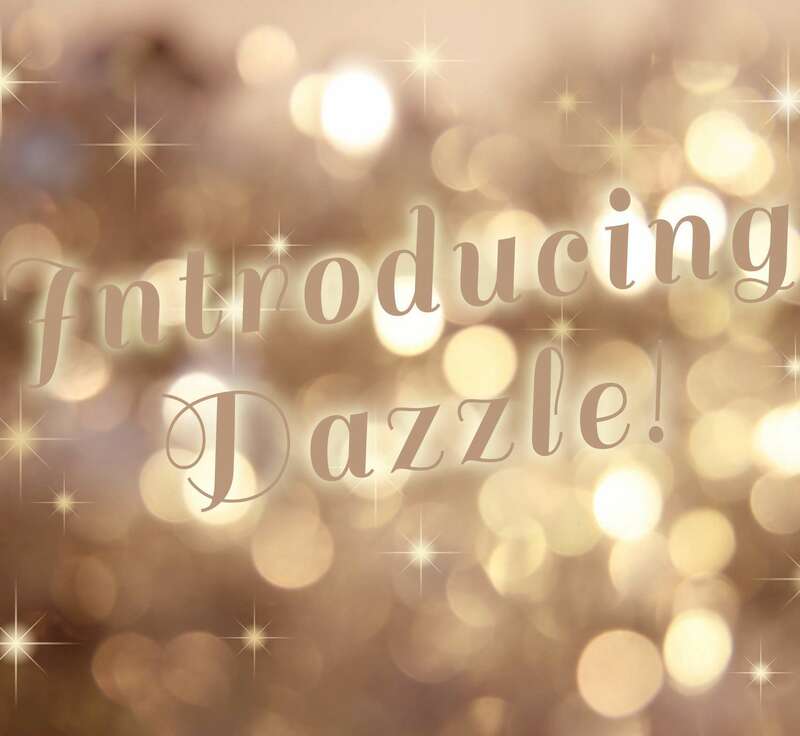 Click here to view Dazzle’s page.